Google secures part of HTC's smartphone division in $1.1bn deal | What Hi-Fi? In addition to the deal, Google has secured a non-exclusive license for HTC's intellectual property (IP), which means the company's other areas of development, including virtual reality, will be available to Google Pixel devices in future. "HTC has been a longtime partner of Google and has created some of the most beautiful, premium devices on the market," said Rick Osterloh, Senior Vice President of Hardware at Google. "We can't wait to welcome members of the HTC team who will be joining Google to fuel further innovation and future product development in consumer hardware." 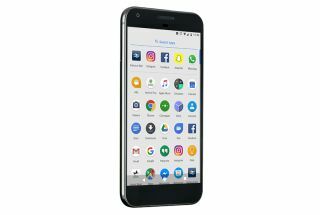 Google has announced a press event for Wednesday 4th October, where the company will reveal its second-generation hardware, including possible updates for its Pixel and Pixel XL smartphones. It's also likely that the event will see the arrival of the recently leaked Google Home Mini, which looks set to rival the Amazon Echo Dot for a place in your smart-home set-up. Google's AirPod rival coming soon?